God does not abandon to what we call chance, any of His creatures. By His essence and providence He is everywhere present; not a sparrow falls to the ground, nor a hair from our heads, without His consent. He is not content, however, with assisting His creation daily and at every moment, with sustaining His handiwork, which without His continuous support would return to dust. His divine and infinite Love, not only maintaining the existence which He gives and perpetuates in living beings, has charged His Holy Angels with the ministry of watching and safeguarding each one of His rational creatures. The Angels, divided into nine hierarchies, have varied obligations. Their intelligence and prudence are penetrating like the beam of a lighthouse; so it appears even when we compare it to the best of human intelligences, which are like the light of a little candle in contrast. An Angel, visualizing an end to be attained, sees instantly the means necessary to achieve it, whereas we must pray, study, deliberate, inquire, and choose during many phases of effort, in order to reach our proposed ends. Kingdoms have their Angels assigned to them; dignitaries of the Church and of the world have more than one Angel to guide them; and every child who enters into the world receives a Guardian Angel. Our Lord says in the Gospel: Beware lest you scandalize any of these little ones, for their Angels in heaven behold the face of My Father. Thus the existence of Guardian Angels is a dogma of the Christian faith, based on Holy Scripture itself. Reflection: This being so, what should our respect be for that holy and sure intelligence, ever present at our side? And how great should our solicitude be, lest, by any act of ours, we offend those eyes which, without losing the divine vision, are ever turned upon poor creatures in all their ways! 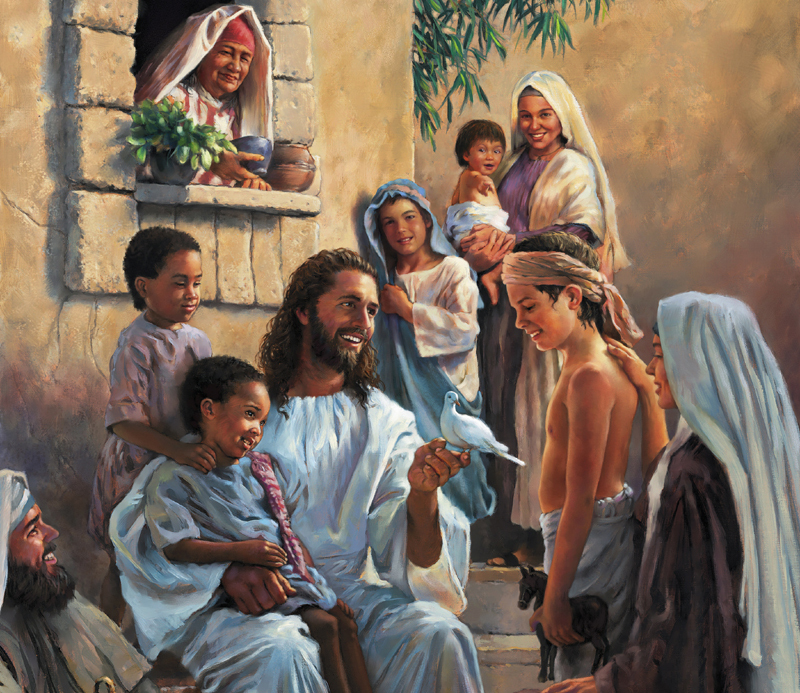 He called a child over, placed it in their midst, and said, “Amen, I say to you, unless you turn and become like children, you will not enter the kingdom of heaven. See that you do not despise one of these little ones, for I say to you that their angels in heaven always look upon the face of my heavenly Father.” – Matthew 18:1-5.10.